Over the last few years, we’ve talked a lot about content marketing revolution. But is it really clear what content marketing success or effectiveness look like? Content Marketing Institute found out that 55% of marketers don’t know. Surprised? 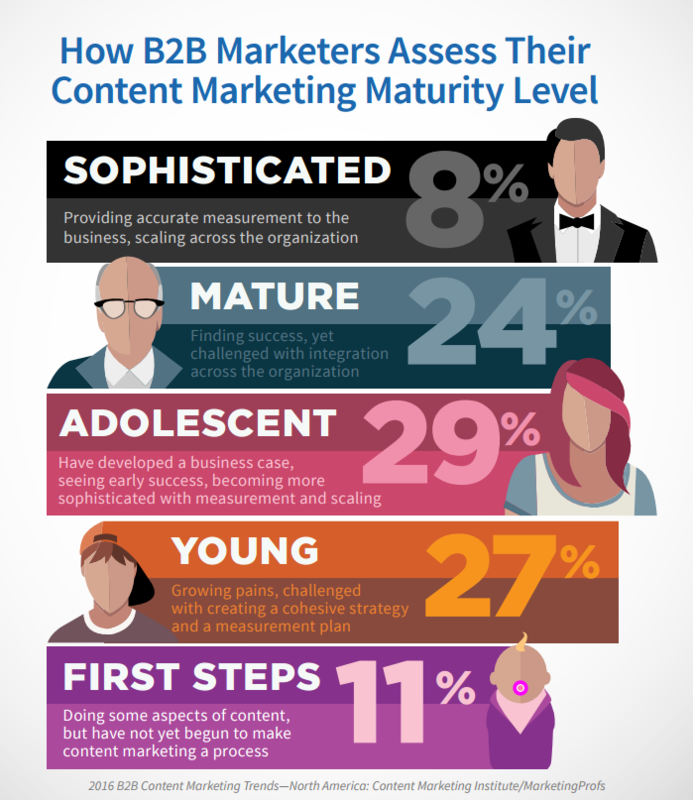 According to their latest research 88 % of organisations use content marketing defined as “a strategic marketing approach focused on creating and distributing valuable, relevant, and consistent content to attract and retain a clearly defined audience—and, ultimately, to drive profitable customer action.” But still, 32 % of recipients describe it as maturity or sophisticated level. 38 % say they are on „young” or „first steps” level. What’s more interesting, only 32 % of marketers admitted that their organisation has a documented content marketing strategy, while 48 % – has it, but it is not documented. So – a lot to do in the future. What should we pay our attention to? Lead generation (85%) and sales (84%) will be the most important goals for B2B content marketers over the next 12 months. 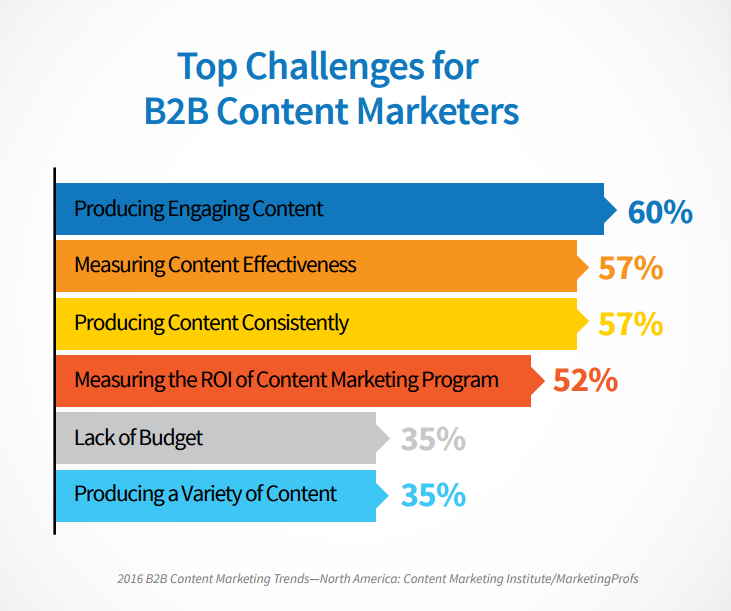 What are top five content marketing challenges in 2016? Producing engaging content, measuring content marketing effectiveness, and producing content consistently. Check, how Prowly can help you to achieve those goals. Content marketing may be the king, but integrated communication should then be his crown queen. A recent PR Council report shows that content marketing is either a number one or a number two priority for 40 % of senior marketers surveyed (second to integrated marketing). True integrated marketing – PR, advertising, digital, mobile, working together – was rated the most important priority by 63% of marketers, and another 14% ranked it second. Content marketing and big data /analytics were second and third. PR pros should be poised to lead the content marketing efforts of companies and brands. By analyzing what messages are compelling and persuasive at each point in the purchasing path, PR pros can provide the results-oriented solutions companies and brands seek to meet business objectives. Infographics, digital brochures and presentations or video content – this is what we mean when we are talking about visual content. Why are we talking about it? Take a look at some data. 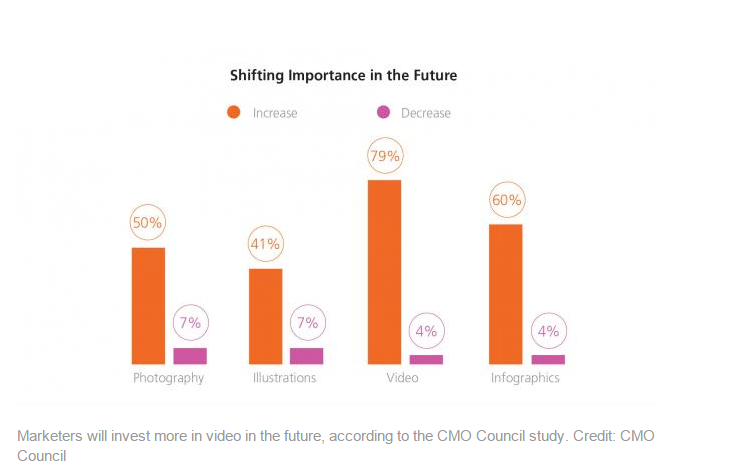 According to a recent study conducted by the CMO Council, the majority of professional communicators say that their video budget will increase in 2016. Sixty-five percent of the 177 senior marketers that responded to the survey said they believed visual assets were core to telling their brand’s story and were especially important for business-to-business marketers. Cisco reports that in 5 years 80% of the whole internet will be online video (even 85% for the US). Xcel Media on the other hand reports that “66% of smartphone users use their smartphones to access youtube”. “People remember only 20% of what they read and 83% of learning occurs visually” – this is quote from WPP in their annual “global communications trends report”. At the end of that section it is written plainly: “we all have ever shorter attention spans and compelling images and visualisations are the key to making your story stand out from the crowd”. The trajectory is moving one way – upwards. What does it mean for PR pros? Lengthy press releases, highly-technical sustainability reports, mundane case studies – all that stuff should be replaced with visually impactful infographics and informative videos that tell stories better and target audiences. As people demand a perfect marriage between experience and data, Virtual Reality (VR) will become a key trend for 2016. And no wonder – not only motorsport companies and estate agents love it already. We wrote about it last month. Who wouldn’t want to check out their villa, yacht or cruise liner before handing over the deposit? What a drift geek wouldn’t check how it is to drift in a computer made reality, full of dangerous situations? “As we create worlds, it gives us a chance to explore them totally differently, with an interface that is unique,” says Yves Guillemot, CEO of Ubisoft, one of the largest independent game publishers. “I think adoption will be a little like consoles—not this last generation, but the one before. We’ll see 2 or 3 [million headsets sold] in the first couple of years, then 5-10 million per year.” Virtual reality is about to go mainstream. 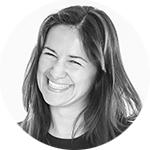 It “lends itself perfectly to brands looking to bridge emotion and fact. Marketers need to get on board now and ensure they understand the impact the technology can make on strategy, when it can be used and who to call upon to make it work.” – we read in HotWire’s Communications Trends 2016. The report’s authors predict that the charity sector is going to drive some of the most incredible VR experiences in the coming years. We’ll see rapidly deployed campaigns to allow people to “experience” the aftermath of a natural disaster and see for themselves the devastation and how their donation will help. Google saw the same trend in 2015 as more search took place on mobile devices than on desktops in 10 countries including the U.S. With all signs pointing up, mobile will continue to dominate in 2016. According to TFour.me, the UAE currently boasts around 16 million mobile phone subscriptions. This means PR pros will need to get on board and offer more immediate options and experiences by reaching their audience on the devices where it spendsthe majority of its time. Further, “they need to be working hard to identify the most suitable and cost effective mobile marketing channels to utilise in order to get their message in front of their target market within their desired budget.” – Togeer Khan writes in one of his latest articles. The effectiveness of real-time marketing or messaging based on current events that can be spread quickly, comes hand in hand with increased social media adoption. It’s also a great way to show brand personality. The possibility of catching lightning in a bottle is just too exciting to ignore. AdWeek reported lately, RTM will be characterised by things like “messaging based on current events, even for brands not in the news niche” as well as brands “commenting on current events and being available for real-time interactions with their audience”. Watch out, The Rise Of Real Time Marketing is coming.